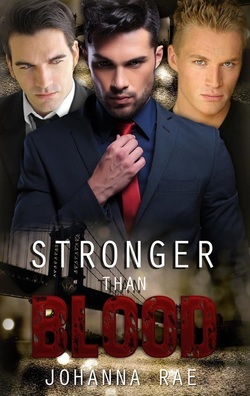 A demon, a vampire, and an angel... Three supernatural beings who should never have been allies, develop a bond that brings them closer than brothers. Though everything they stand for runs in direct conflict with each other, somehow they defeat the odds. What will happen if their unity is put to the test? When a mortal female becomes irreversibly tied to each in turn. One as her lover, another her guide, and the last, her protector. Will their bond be strong enough to withstand the challenges they face? Is the safety and survival of this one woman going to tear them apart, or is what they have stronger than the blood which separates them? When Heaven, Hell and the In-between come together, nothing is certain.